The cavalry battle sure got off to a fun start with this episode. It was interesting enough seeing how Deku and the other characters assembled their teams. But things really took off once we got to see how these various teams actually worked together. Honestly I do appreciate it when these kinds of shows allow for some teamwork and cooperation. Various powers and abilities can create interesting results when put in a team situation. Plus this is a great chance for various characters to get some spotlight that might normally get less focus. Just by definition the cavalry battle brings together 3-4 characters for each team. This is a great chance to get to learn more about Fumikage Tokoyami due to him being on Deku’s team for this. A guy we’ve seen in the previous season, but we don’t really know much about. I have to give credit to Deku for realizing his position and assembling his team as required. There is no need to build a heavy offensive squad like some of the other teams. He doesn’t really need a Bakugo-like character in his group. 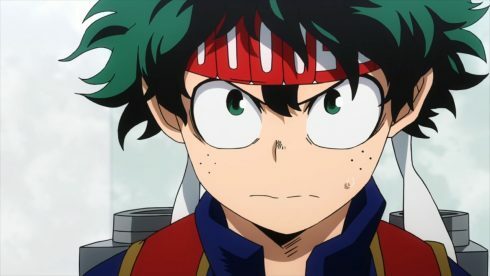 Just at the start of the battle Deku and his squad have enough points to win. The only thing they have to do is play it defensive and run away. Iida would have been a nice addition for that reason, but Mei Hatsume covers for that with her tech. 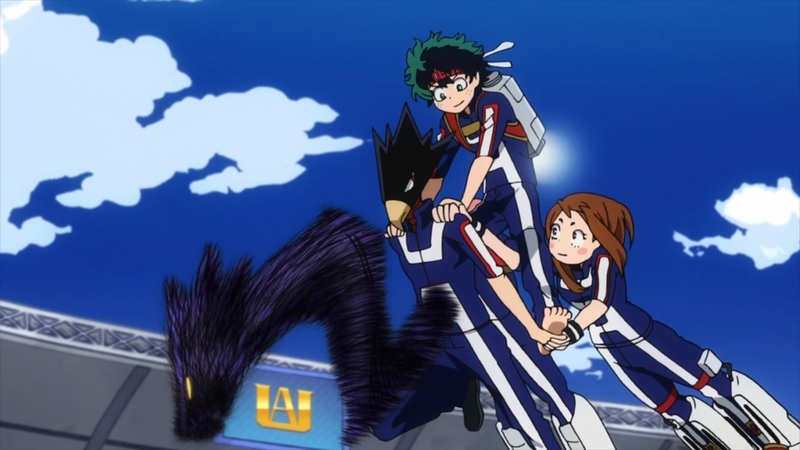 With a strong defense from Tokoyami and gravity control from Ochaco, they are a group that is tough to pin down and steal a headband from. They aren’t going to be attacking very much, but that’s fine. It was pretty fun watching them try to avoid each confrontation and succeed at that. 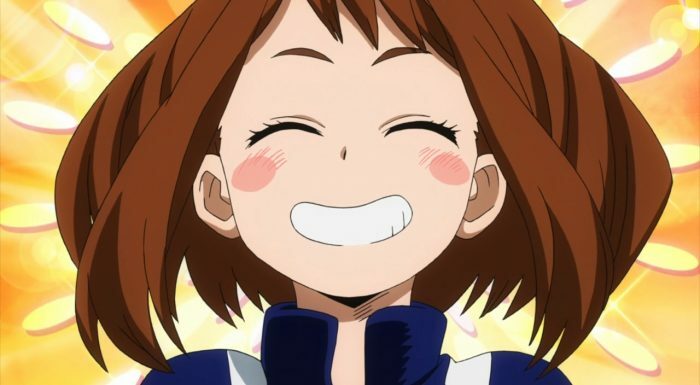 It is good for Deku that Ochaco was willing to help out. Her quirk is a useful addition and frankly it was just a comfort to him that someone wasn’t rejecting him. Even in a competition setting like this Ochaco’s good nature shines through. 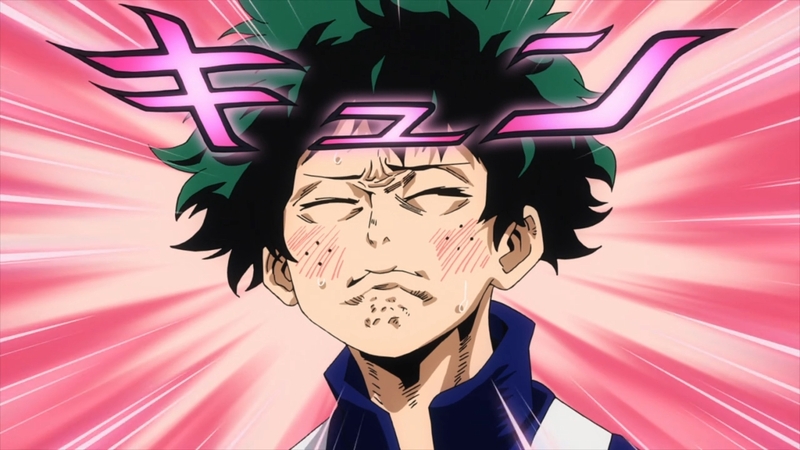 We’re also getting a few hints at her feelings towards Deku or at least her dislike of Mei getting too close to him. Should be interesting to see how her character continues to develop through this season and beyond. In the end she did a good job allowing them to be mobile and use that tech when normally the weight would be too much for it to work effectively. She may not have a flashy role in this team, but she does play a key position. There is a lot of interesting combination teams at play in this event. Bakugo is a powerful individual and yet…his personality does lead to problems. The guy doesn’t pay attention to other people unless they really piss him off. It is somewhat difficult to make a good team when you don’t know what your classmates can do. Credit should probably go to Kirishima who likely selected the members for the team after he convinced Bakugo to work with him. And he was right to say Bakugo would work well with him. They do have a kind of friendship going (well at least Bakugo recognizes his face) and his hardening quirk allows him to endure the amount of explosions that Bakugo is likely to unleash during this event. It really is a good mix with Team Bakugo. 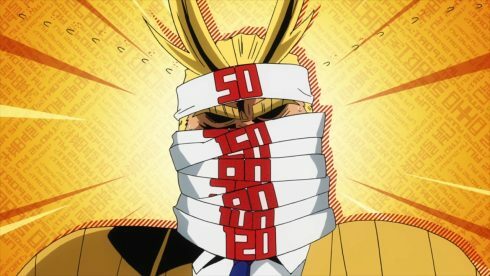 Sero can use his tape quirk to keep Bakugo ‘connected’ to his team even when he launches himself around. And Mina’s acid quirk should keep others from getting too close to her side of the group. I’m curious to see how Bakugo’s group tackles the Class B team that decided to pick a fight with him. While I understand how Class B can feel underrated…the plan to confront Bakugo wasn’t a smart one. Monoma was basically acting like a cliché villain there. 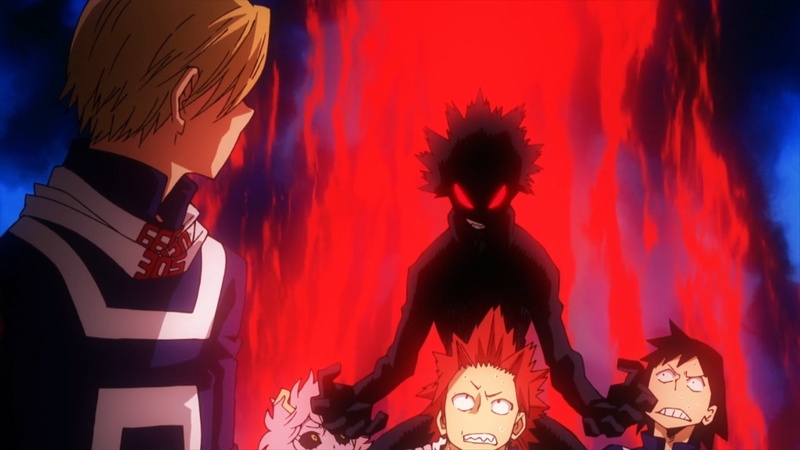 Telling Bakugo his master plan with plenty of time left…is just asking for Bakugo to go over there and beat him up. Maybe he’s confident, but it seems a reckless move. If his plan was to just avoid a big fight and quietly gather points then he should have waited until closer to the end of the battle to make a move. 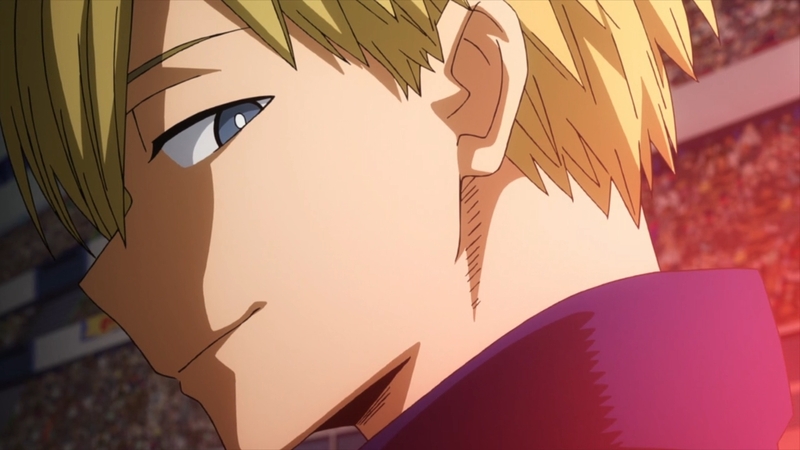 Now everyone knows what he is up to and he has to watch out for Bakugo and a lot of other teams who will be targeting him for points. If nothing else it will be fun to see how someone else other than Deku deals with a pissed Bakugo gunning for them. Likely the team to watch for the next episode will be Todoroki’s team. 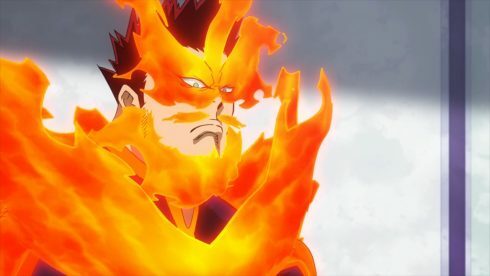 You have to wonder about the family issue keeping Todoroki from using his flames. He is basically handicapping himself for some reason. Still, his team is pretty darn stacked. 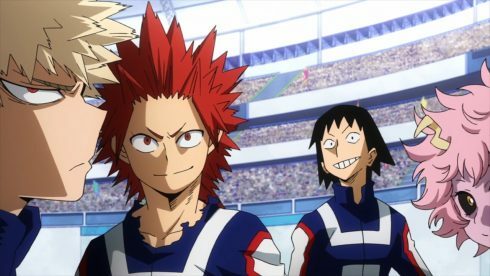 Iida brings good speed, Kaminari has powerful electricity ability, and Momo can keep their team safe from electrocution while responding flexibly to dangerous developments. If nothing else this episode was a lot of fun and I expect the same to be true for next week. I like the idea of Deku having that bullseye on him. That is the kind of weight and attention the top hero gathers. For those that want to be the #1 hero, this is the kind of feeling they can expect. Heroes need to cooperate out there to save people, but they are also competing at all times. This event is a good way for them to get used to dealing with the pressure and yet find a way to thrive. I am curious to see which teams will end up succeeding in this event. Right now Class B has made a solid move to attack Class A, Deku is facing off against Todoroki, and I’m sure some of the other teams will make things pretty interesting next episode. The fun factor of S2 has been pretty good so far, let’s hope they keep it up.